The most recent NICHD-funding cycle for the LD Center and Center for Oral and Written Language Learners (OWLs) ended November 30, 2016 and referrals for the grant research on assessment and instruction for students in grades 4 to 9 with and without persisting specific learning disabilities in oral and/or written language are no longer accepted. Also, no service is in place for referring parents seeking services for their children. III Selective, Representative Publications from the programmatic research on A. Assessment, B. Instruction, C. Brain Imaging, and D. Genetics. 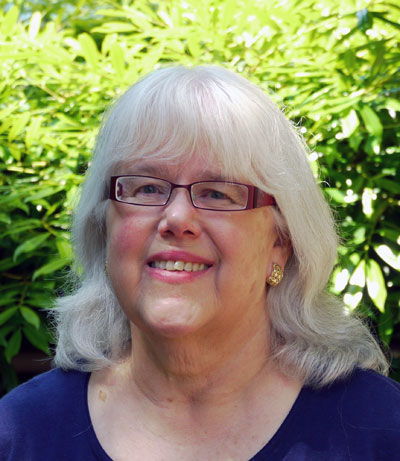 1986-2016 University of Washington, Educational Psychology, Assistant Professor (1986), Associate Professor (1989), Full Professor (1993-2016), Professor Emerita (beginning Dec 1, 2016), Member of the Graduate Faculty (1986 to Nov 30 2016); Program Coordinator, APA accredited and NASP approve School Psychology Program, 1993-2000; Director of Internship Training, School Psychology Program, 2001-06; Learning Sciences and Human Development, 2007- 2016; Director, University Brain Education Technology Center (UBET) Education Site, 2000-2006; Research Affiliate and then Coordinator Research Specialization for Learning Disabilities, 2000-2016, Eunice Kennedy Shriver Intellectual and Developmental Disabilities Research Center (IDDRC); Member, Center for Study of Capable Youth, University of Washington, 1989-2000. 1983-86 Assistant Professor, Department of Rehabilitation Medicine, Tufts University School of Medicine, Boston, Massachusetts. 1985 Assistant Professor of Psychology (part-time), Wellesley College, Wellesley, Massachusetts. 1981-83 Instructor in Psychology, Department of Psychiatry, Harvard Medical School, Boston, Massachusetts. 1987- Psychologist, State of Washington, No. 1161. 1982-90 Psychologist, Commonwealth of Massachusetts, No. 3035. (University Affiliated Program), 1981-1982; post-licensure, 1982-1983. (a University affiliated program for developmental disabilities); half time. gifted, learning disabled children, Johns Hopkins. 1984-1986 Principal Investigator, Validation of a Modification of the Wechsler Adult Intelligence Scale-Revised (WAIS-R) for Use with Adults with Severe Musculoskeletal Disorders (Project in Center Grant awarded by NIHR to Bruce M. Gans, M.D.). 1987-1992 Educational Psychology Representative. A preservice interdisciplinary model: Birth to five-year-old hearing-impaired children and their families (Principal investigator, Marie Thompson). Funded, U.S. Department of Education. 1987-1988 Principal Investigator, Microcomputer-assisted diagnosis of writing disabilities. University of Washington Graduate School Research Fund. 1989-1990 Principal Investigator, Early intervention to prevent reading disabilities in urban, minority children. Institute for Ethnic Studies in the United States. 1989-1992 Principal Investigator, Component processes in writing disabilities. National Institute of Health (NIH), National Institute of Child Health and Human Development (NCHD). 1992-1994 Principal Investigator, Interventions for component writing disabilities. 1995-2000 Principal Investigator, Interventions for component writing disabilities. RO1, NIH, NICHD. 2001-2006 with two years of no-cost extension to 2008. Interventions for component writing disabilities. RO1, NIH, NICHD. 1993-1996 Co-Principal Investigator (with Nancy Robinson, P.I.). Identifying and nurturing early mathematical talent. Department of Education. Javits Gifted and Talented Students Education Grant Program. 2011-2016, Principal Investigator, Defining and Treating Specific Written Language Learning Disabilities. NIH P50 Center for Multidisciplinary Learning Disabilities Research, NIH, NICHD. (P.I. Wendy Raskind, M.D., Ph.D). NIH, NICHD. 2013-2015, with extension to 2016. Investigator, Life Span in Writing Development (P.I., Charles Bazerman, University Santa Barbara). Spencer Foundation. Berninger, V., McHale-Small, M., Dunn, A., & Alston-Abel, N. (2016). Best professional practices in school psychology for helping all students succeed. Translating Every Child Succeeds Act (ESSA) into interdisciplinary teamwork. The School Psychologist, 70, No. 1 pp. 7-15, Winter 2016. Published by Division 16 of the American Psychological Association. Berninger, V., Dunn, A., Lin, S., & Shimada, S. (2004). School evolution: Scientist-practitioner educators creating optimal learning environments for ALL students. Journal of Learning Disabilities, 37, 500-508. Berninger, V. (2007c). Process Assessment of the Learner II User’s Guide. San Antonio, TX: Pearson (formerly Harcourt/PsyCorp). (CD format) ISBN 0158661818 Second Revision issued August, 2008. Decoder for Table of Contents 2009. Guidance in making differential diagnoses based on programmatic research on assessment-instructional links In all PAL Reading and Writing Diagnostic Kits and PAL II Math Diagnostic Kits. Currently distributed by Pearson. Research shows one of the leading causes of low school achievement in the United States is poverty.Posted article on The SES Indicator (http://www.apa.org/pi/ses/resources/indicator/). American Psychological Association. Berninger, V., & Abbott, S. (2003). PAL Research-supported reading and writing lessons. Instructional Manual and Reproducibles. San Antonio, TX: Harcourt/PsyCorp. Currently distributed by Pearson. Berninger, V., & Richards, T. (2002). Brain literacy for educators and psychologists. New York: Academic Press. Currently distributed by Elsevier. Invited to write second edition. Berninger, V. (2000). Development of language by hand and its connections to language by ear, mouth, and eye. Topics in Language Disorders, 20, 65-84. Berninger, V., Richards, T., Nielsen, K., Dunn, M., Raskind, M., & Abbott, R. (in press, 2018). Behavioral and brain evidence for language by ear, by mouth, by eye, and by hand and motor skills in literacy learning. International Journal of School and Educational Psychology. Berninger, V., Nielsen, K., Abbott, R., Wijsman, E., & Raskind, W. (2008b). Gender differences in severity of writing and reading disabilities. Journal of School Psychology, 46,151-172. Berninger, V., Abbott, R., Thomson, J., Wagner, R., Swanson, H.L., Wijsman, E. & Raskind, W. (2006). Modeling developmental phonological core deficits within a working-memory architecture in children and adults with developmental dyslexia. Scientific Studies in Reading, 10, 165-198. Nagy, W., Berninger, V., & Abbott, R. (2006). Contributions of morphology beyond phonology to literacy outcomes of upper elementary and middle school students. Journal of Educational Psychology, 98,134-147. Thomson, J., Chennault, B., Abbott, R., Raskind, W., Richards, T., Aylward, E., & Berninger, V. (senior, corresponding author) (2005). Converging evidence for attentional influences on the orthographic word form in child dyslexics. Journal of Neurolinguistics. 18, 93-126. Nagy, W., Berninger, V., Abbott, R., Vaughan, K., & Vermeulen, K. (2003). Relationship of morphology and other language skills to literacy skills in at-risk second graders and at-risk fourth grade writers. Journal of Educational Psychology, 95, 730-742. Berninger, V., Abbott, R., Thomson, J., & Raskind, W. (2001). Language phenotype for reading and writing disability: A family approach. Scientific Studies in Reading, 5, 59-105. Robinson, N., Abbott, R., Berninger, V., Busse, J., & Mukhopadhyay, S. (1997). Developmental changes in mathematically precocious young children: Longitudinal and gender effects. Gifted Child Quarterly, 41, 145-158. Berninger, V., Abbott, R., & Alsdorf, B. (1997). Lexical- and sentence- level processes in comprehension of written sentences. Reading and Writing: An Interdisciplinary Journal, 9, 135-162. Swanson, H.L., & Berninger, V. (1996b). Individual differences in children's writing: A function of working memory or reading or both processes? Reading and Writing. An Interdisciplinary Journal, 8, 357-383. Swanson, H.L., & Berninger, V. (1996a). Individual differences in children’s working memory and writing skills. Journal of Experimental Child Psychology, 63, 358-385. Robinson, N., Abbott, R., Berninger, V., & Busse, J. (1996). Developmental changes in mathematically precocious young children: Longitudinal and gender effects. Journal of Educational Psychology, 88, 341-352. Berninger, V., Whitaker, D., Feng, Y., Swanson, H.L., & Abbott, R. (1996). Assessment of planning, translating, and revising in junior high writers. Journal of School Psychology, 34, 23-52. Swanson, H.L., & Berninger, V. (1995). The role of working memory in learning disabled readers’ comprehension. Intelligence, 21, 83-108. Berninger, V. (1994). Intraindividual differences in levels of language in comprehension of written sentences. Learning and Individual Differences, 6, 433-457. Yates, C., Berninger, V., & Abbott, R. (1994). Specific writing disabilities in intellectually gifted children. Journal for the Education of the Gifted, 18, 131-155. Berninger, V., Cartwright, A., Yates, C., Swanson, H.L., & Abbott, R. (1994). Developmental skills related to writing and reading acquisition in the intermediate grades: Shared and unique variance. Reading and Writing: An Interdisciplinary Journal, 6, 161-196. Whitaker, D., Berninger, V., Johnston, J., & Swanson, L. (1994). Intraindividual differences in levels of language in intermediate grade writers: Implications for the translating process. Learning and Individual Differences, 6, 107-130. Abbott, R., & Berninger, V. (1993). Structural equation modeling of relationships among developmental skills and writing skills in primary and intermediate grade writers. Journal of Educational Psychology, 85(3), 478-508. Berninger, V., & Whitaker, D. (1993a). Theory-based, branching diagnosis of writing disabilities. School Psychology Review, 22, 623-642. Berninger, V., & Whitaker, D. (1993b). Theory-based diagnosis and remediation of writing disabilities: An update. Canadian Journal of School Psychology, 9, 150-156. Berninger, V., & Yates, C. (1993). Formal operational thought in the gifted: A post-Piagetian perspective. Roper Review, 15, 220-224. Berninger, V., & Fuller, F. (1992). Gender differences in orthographic, verbal, and compositional fluency: Implications for diagnosis of writing disabilities in primary grade children. Journal of School Psychology, 30, 363-382. Berninger, V., Hart, T., Abbott, R., & Karovsky, P. (1992). Defining reading and writing disabilities with and without IQ: A flexible, developmental perspective. Learning Disability Quarterly, 15, 103-118. Berninger, V., & Abbott, R. (1992). Unit of analysis and constructive processes of the learner: Key concepts for educational neuropsychology. Educational Psychologist, 27, 223-242. Berninger, V., Yates, C., Cartwright, A., Rutberg, J., Remy, E., & Abbott, R. (1992). Lower-level developmental skills in beginning writing. Reading and Writing. An Interdisciplinary Journal, 4, 257-280. Berninger, V., Yates, C., & Lester, K. (1991). Multiple orthographic codes in acquisition of reading and writing skills. Reading and Writing. An Interdisciplinary Journal, 3, 115-149. Berninger, V. (1990). Multiple orthographic codes: Key to alternative instructional methodologies for developing orthographic-phonological connections underlying word identification. School Psychology Review, 19, 518-533. Berninger, V., Abbott, R., & Shurtleff, H. (1990). Developmental changes in interrelationships among visible language codes, oral language codes, and reading or spelling. Learning and Individual Differences, 2, 45-66. Berninger, V., Proctor, A., DeBruyn, I., & Smith, R. (1988). Relationship of levels of oral language and written language in beginning readers. Journal of School Psychology, 26, 341-357. Berninger, V. (1988). Development of operational thought without a normal sensorimotor stage. Intelligence, 12, 219-230. Berninger, V., Gans, B., St. James, P., & Conners, T. (1988). Modified WAIS-R for patients with speech and/or hand dysfunction. Archives of Physical Medicine and Rehabilitation, 69, 250-255. Berninger, V. & Thalberg, S. (1988). Levels of analysis in interdisciplinary child assessment. Journal of Psychoeducational Assessment, 6, 3-13. Berninger, V. (1987). Global, component, and serial processing of printed words in beginning readers. Journal of Experimental Child Psychology, 43, 387-418. Berninger, V., & Gans, B. (1986). Assessing word processing capability of the nonvocal, nonwriting. Augmentative and Alternative Communication, 2, 56-63. Berninger, G., & Garvey, C. (1981). Questions and the allocation, construction, and timing of turns in child discourse. Journal of Psycholinguistic Research, 10, 375-402. Thompson, R., Tanimoto, S., Lyman, R., Geselowitz, K., Begay, K., Nielsen, K., Abbott, R., Nagy, W. Raskind, M., & Berninger, V. (2017, September 17). Effective instruction for persisting dyslexia in upper grades: Adding hope stories and computer coding to explicit literacy instruction. Education and Information Technology. Berninger, V., Lee, Y., Abbott, R. & Breznitz, Z. (2011 published on line; 2013). Teaching children with dyslexia to spell in reading-writers’ workshop. Annals of Dyslexia, 63 (1). Berninger, V., Rutberg, J., Abbott, R., Garcia, N., Anderson-Youngstrom, M., Brooks, A., & Fulton, C. (2006). Tier 1 and Tier 2 early intervention for handwriting and composing. Journal of School Psychology, 44, 3-30. Honorable mention as one of the best research articles of the year. Winn, W., Berninger V., Richards, T., Aylward, E., Stock, P., Lee, Y., & Lovitt D. (2006). Effects of nonverbal problem solving treatment on skills for externalizing visual representation in upper elementary grade students with and without dyslexia. Journal of Educational Computing Research, 34, 395-418. Berninger, V., Winn, W., Stock, P., Abbott, R., Eschen, K., Lin, C., Garcia, N., Anderson-Youngstrom, M., Murphy, H., Lovitt, D., Trivedi, P., Jones, J., Amtmann, D., & Nagy, W. (2008).Tier 3 specialized writing instruction for students with dyslexia.. Reading and Writing. An Interdisciplinary Journal, 21, 95-129. Printed Springer On Line. May 15, 2007. Amtmann, D., Abbott, R., & Berninger, V. (2008). Identifying and predicting classes of response to explicit, phonological spelling instruction during independent composing. Journal of Learning Disabilities, 41, 218-234. Berninger, V., Abbott, R., Vermeulen, K., & Fulton, C. (2006). Paths to reading comprehension in at-risk second grade readers. Journal of Learning Disabilities, 39, 334-351. Chenault, B., Thomson, J., Abbott, R., & Berninger, V. (2006). Effects of prior attention training on child dyslexics’ response to composition instruction. Developmental Neuropsychology, 29, 243-260. Berninger, V., Vermeulen, K., Abbott, R., McCutchen, D., Cotton, S., Cude, J., Dorn, S., & Sharon, T. (2003). Comparison of three approaches to supplementary reading instruction for low achieving second grade readers. Language, Speech, and Hearing Services in Schools, 34, 101-116. Received AHSA award for best research article of 2003 for this journal. Berninger, V., Vaughan, K., Abbott, R., Begay, K., Byrd, K., Curtin, G., Minnich, J. , & Graham, S. (2002). Teaching spelling and composition alone and together: Implications for the simple view of writing. Journal of Educational Psychology, 94, 291-304. Berninger, V., Abbott, R., Abbott, S., Graham, S., & Richards, T. (2002). Writing and reading: Connections between language by hand and language by eye. Journal of Learning Disabilities, 35, 39-56. Berninger, V., Abbott, R., Vermeulen, K., Ogier, S., Brooksher, R., Zook, D., & Lemos, Z. (2002). Comparison of faster and slower responders to early intervention in reading: Differentiating features of their language profiles. Learning Disability Quarterly, 25, 59-76. Quiroga, T., Lemos-Britton, Z., Mostafapour, E., Abbott, R., & Berninger, V. (2002). Phonological awareness and beginning reading in Spanish-speaking, ESL first graders: Research into practice. Journal of School Psychology, 40, 85-111. Berninger, V., Abbott, R., Brooksher, R., Lemos, Z., Ogier, S., Zook, D., & Mostafapour, E. (2000). A connectionist approach to making the predictability of English orthography explicit to at-risk beginning readers: Evidence for alternative, effective strategies. Developmental Neuropsychology, 17, 241-271. Berninger, V., Vaughan, K., Abbott, R., Brooks, A., Begay, K., Curtin, G., Byrd, K., & Graham, S. (2000). Language-based spelling instruction: Teaching children to make multiple connections between spoken and written words. Learning Disability Quarterly, 23, 117-135. Berninger, V. (2000). Dyslexia an invisible, treatable disorder: The story of Einstein’s Ninja Turtles. Learning Disability Quarterly, 23, 175-195. Abbott, S., & Berninger, V. (1999). It’s never too late to remediate: A developmental approach to teaching word recognition. Annals of Dyslexia, 49, 223-250. Berninger, V., Abbott, R., Zook, D., Ogier, S., Lemos, Z., & Brooksher, R. (1999). Early intervention for reading disabilities: Teaching the alphabet principle within a connectionist framework. Journal of Learning Disabilities, 32(6), 491-503. Berninger, V., Abbott, R., Rogan, L., Reed, E, Abbott, S., Brooks, A., Vaughan, K., & Graham, S. (1998). Teaching spelling to children with specific learning disabilities: The mind's ear and eye beat the computer or pencil. Learning Disability Quarterly, 21, 106-122. Berninger, V., Vaughan, K., Abbott, R., Abbott, S., Brooks, A., Rogan, L., Reed, E., & Graham, S. (1997). Treatment of handwriting problems in beginning writing: Transfer from handwriting to composition. Journal of Educational Psychology, 89, 652-666. Hart, T., Berninger, V. & Abbott, R. (1997). Comparison of teaching single or multiple orthographic-phonological connections for word recognition and spelling: Implications for instructional consultation. School Psychology Review, 26, 279-297. Traweek, D., & Berninger, V. (1997). Comparison of beginning literacy programs: Alternative paths to the same learning outcome. Learning Disability Quarterly, 20, 160-168. Abbott, S., Reed, L., Abbott, R., & Berninger, V. (1997). Year-long balanced reading/writing tutorial: A design experiment used for dynamic assessment. Learning Disability Quarterly, 20, 249-263. Berninger, V., Abbott, R., Whitaker, D., Sylvester, L., & Nolen, S. (1995). Integrating low-level skills and high-level skills in treatment protocols for writing disabilities. Learning Disability Quarterly, 18, 293-309. Berninger, V., & Traweek, D. (1991). Effects of two-phase reading intervention on three orthographic-phonological code connections. Learning and Individual Differences, 3, 323-338. Yagle, K., Richards, T., Askren, K., Mestre, Z., Beers, S., Abbott, R., Nagy, W., & Berninger, V. (2017). Relationships between eye movements during sentence reading comprehension, word spelling and reading, and DTI and fMRI connectivity in students with and without dysgraphia or dyslexia. Journal of Systems and Integrated Neuroscience, 3(1), 1-11. Berninger, V., Richards, T., Stock, P., Abbott, R., Trivedi, P., Altemeier, L., & Hayes, J. R. (2009). fMRI activation related to nature of ideas generated and differences between good and poor writers during idea generation. British Journal of Educational Psychology Monograph Series II, 6, 77-93. Richards, T., & Berninger,V. (2008). Abnormal fMRI connectivity in children with dyslexia during a phoneme task: Before but not after treatment. Journal of Neurolinguistics, 21,294-304. Published on line by ScienceDirect for Elsevier 2007. Richards, T., Stevenson, J., Crouch, J., Johnson, L. C., Maravilla, K., Stock, P., Abbott, R., & Berninger, V. (2008). Tract-based spatial statistics of diffusion tensor imaging in adults with dyslexia. American Journal of Neuroradiology, 29, 1134-1139. Richards, T., Berninger, V., Winn W., Stock, P., Wagner, R., Muse, A., & Maravilla, K. (2007). fMRI activation in children with dyslexia during pseudoword aural repeat and visual decode: Before and after instruction. Neuropsychology. 21, 732-747. Richards, T., Aylward, E., Raskind, W., Abbott, R., Field,. K., Parsons, A., Richards, A., Nagy, W., Eckert, M., Leonard, C., & Berninger, V. (2006b). Converging evidence for triple word form theory in children with dyslexia. Developmental Neuropsychology, 30, 547-589. Richards, T., Aylward, E., Berninger, V., Field, K., Parsons, A., Richards, A., & Nagy, W. (2006a). Individual fMRI activation in orthographic mapping and morpheme mapping after orthographic or morphological spelling treatment in child dyslexics. Journal of Neurolinguistics, 19, 56-86. Stanberry, L., Richards, T, Berninger, V., Nandy, R., Aylward, E., Maravilla, K., & Stock, P., Cordes, D. (2006). Low frequency signal changes reflect differences in functional connectivity between good readers and dyslexics during continuous phoneme mapping. Magnetic Resonance Imaging, 24, 217-229. Leonard, C., Eckert, M., Given, B., Berninger, V., & Eden, G. (2006). Individual differences in anatomy predict reading and oral language deficits. Brain, 129, 3329-3342. Richards, T., Berninger, V., Nagy, W., Parsons, A., Field, K., Richards, A. (2005). Brain activation during language task contrasts in children with and without dyslexia: Inferring mapping processes and assessing response to spelling instruction. Educational and Child Psychology, 22(2), 62-80. Eckert, M., Leonard, C., Wilke, M., Eckert, M., Richards, T., Richards, A., & Berninger, V. (2005). Anatomical signature of dyslexia in children: Unique information from manual-based and voxel-based morphometry brain measures. Cortex, 41, 304-315. Aylward, E., Richards, T., Berninger, V., Nagy, W., Field, K., Grimme, A., Richards, A., Thomson, J., & Cramer, S. (2003). Instructional treatment associated with changes in brain activation in children with dyslexia. Neurology, 61, 212-219. Eckert, M., Leonard, C., Richards, T., Aylward, E., Thomson, J., & Berninger, V. (2003). Anatomical correlates of dyslexia: Frontal and cerebellar findings. Brain, 126 (2), 482-494. Richards, T., Berninger, V., Aylward, E., Richards, A., Thomson, J., Nagy, W., Carlisle, J., Dager, S., & Abbott, R. (2002). Reproducibility of proton MR spectroscopic imaging PEPSI): Comparison of dyslexic and normal reading children and effects of treatment on brain lactate levels during language tasks. American Journal of Neuroradiology. 23, 1678-1685. Serafini, S., Steury, K., Richards, T., Corina, D., Abbott, R., & Berninger, V. (2001). Comparison of fMRI and PEPSI during language processing in children. Magnetic Resonance in Medicine, 45, 217-225. Corina, D., Richards, T., Serafini, S., Richards, A., Steury, K., Abbott, R., Echelard, D., Maravilla, K., & Berninger, V. (2001). fMRI auditory language differences between dyslexic and able reading children. Neuroreport,12, 1195-1201. Richards, T., Corina, D., Serafini, S., Steury, K., Dager, S., Marro, K., Abbott, R., Maravilla, K., & Berninger, V. (2000). Effects of phonologically-driven treatment for dyslexia on lactate levels as measured by proton MRSI. American Journal of Neuroradiology, 21, 916-922. Richards, T., Dager, S.. Corina, D., Serafini, S., Heidel, C., Steury, K., Strauss, W., Hayes, C., Abbott, R., Kraft, S., Shaw, D., Posse, S., & Berninger, V. (1999). Dyslexic children have abnormal brain lactate response to reading-related language tasks. American Journal of Neuroradiology, 20, 1393-1398. Abbott, R., Raskind, W., Matsushita, M., Richards, T., Price, N., & Berninger, V. (2017). Dysgraphia, dyslexia, and OWL LD during middle childhood and early adolescence: Evidence for genetic effects on hallmark phenotypes. Biomarkers and Genes, 1 (1), 1-10. Brkanac, Z., Chapman, N., Matsushita, M., Chun, L., Nielsen, K., Cochrane, E., Berninger, V., Wijsman, E., & Raskind, W. (2007, June). Evaluation of candidate genes for DYX1 and DYX2 in families with dyslexia. American Journal of Medical Genetics Part B: Neuropsychiatric Genetics, 144 B, 556-560. American Journal of Medical Genetics Part B: Neuropsychiatric Genetics. Online ISSN: 1552-485X. Print ISSN: 1552-4841 Copyright Wiley-Liss, Inc., A Wiley Company. Raskind, W., Igo, R., Chapman, N., Berninger, V., Thomson, J., Matsushita, M., Brkanac, Z., Holzman, T., Brown, M., & Wijsman, E. (2005). A genome scan in multigenerational families with dyslexia: Identification of a novel locus on chromosome 2q that contributes to phonological decoding efficiency. Molecular Psychiatry, 10(7):699-711. Chapman, N., Igo, R., Thomson, J., Matsushita, M., Brkanac, Z., Hotzman, T., Berninger, V., Wijsman, E., & Raskind, W. (2004). Linkage analyses of four regions previously implicated in dyslexia: confirmation of a locus on chromosome 15q. American Journal of Medical Genetics/Neuropsychiatric Genetics. 131B: 67-75. and American Journal of Medical Genetics Supplement 03174 9999:1 (2004). Chapman, N. Raskind, W., Thomson, J., Berninger, V., & Wijsman, E. (2003). Segregation analysis of phenotypic components of learning disabilities.II. Phonological decoding. American Journal of Medical Genetics/Neuropsychiatric Genetics. 121B:60-70. Hsu, L., Wijsman, E., Berninger, V., Thomson, J., & Raskind, W. (2002). Familial aggregation of dyslexia phenotypes: Paired correlated measures. American Journal of Medical Genetics/Neuropsychiatric Genetics. 114, 471-478. Wijsman, E., Peterson, D., Leutennegger, A., Thomson, J., Goddard, K., Hsu, L., Berninger, V., & Raskind, W. (2000). Segregation analysis of phenotypic components of learning disabilities I. Nonword memory and digit span. American Journal of Human Genetics, 67, 631-646. Raskind, W., Hsu, L., Thomson, J., Berninger, V., & Wijsman, E. (2000). Familial aggregation of phenotypic subtypes in dyslexia. Behavior Genetics, 30, 385-396.